Content is an incredibly valuable asset to today’s digital marketing strategies and can be used to acquire new leads and subscribers for your business. This is a common practice in both B2B businesses, publishers and recently, ecommerce businesses. It’s a simple way to leverage the power of your quality content for converting visitors. Let’s take a look a deeper look at gated content and how you can use it to grow your business. We’ve all submitted our email to access an ebook by now. It’s an easy way to display longer form content in an organized and attractive manner. Top performing ebooks include “how-to” information that is appealing to almost all of your website visitors. A visual form of content that people eat up! Infographics receive high engagement and sharability. They also display a lot of value in a clear and fun way. If you have an infographic, chances are I’m downloading it. 2015 has been a big year for video marketing and rightfully so. It’s a medium that speaks to today’s consumer and it’s effective. How-to videos, whiteboard sessions, and even a teaser for an upcoming product are great pieces of content to gate behind an email signup form. Another great type of gated content would be any marketing and design materials. People and businesses are always looking for things that will help them be more productive. 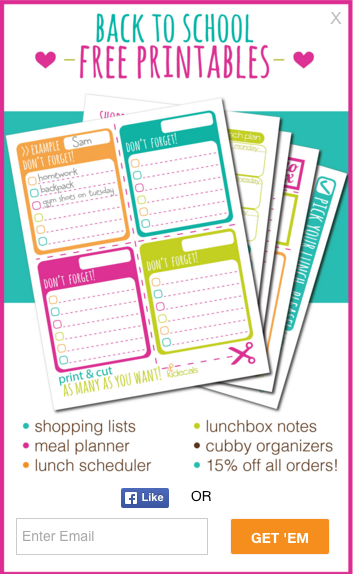 This could be a blogging calendar, photoshop templates, or even stock images. Presenting visitors with some of your most valuable content can significantly increase visitor engagement because you grabbing their attention with something of interest. When content displays immediate value to website visitors, they are likely to opt in. With segmentation and targeting capabilities, it’s quite simple to pinpoint specific pages, visitor actions, and even individuals to drive more engagement. For example, on your camping and outdoors blog, you could present an offer for a more detailed ebook on wilderness survival. Leads that complete an action to access a piece of content automatically display interest in what you are selling. This is a great way to acquire contacts that are more likely to convert into a paying customer. No matter what kind of online business you are running, you’re selling something. Gated content allows you to provide additional value in another form. Now, you’re not only selling products, but you’re also providing supplementary content that can increase your value in the visitor’s eyes. Garlic Shaker was using a basic email sign up form shown below. This collected a total of 220 email subscribers. 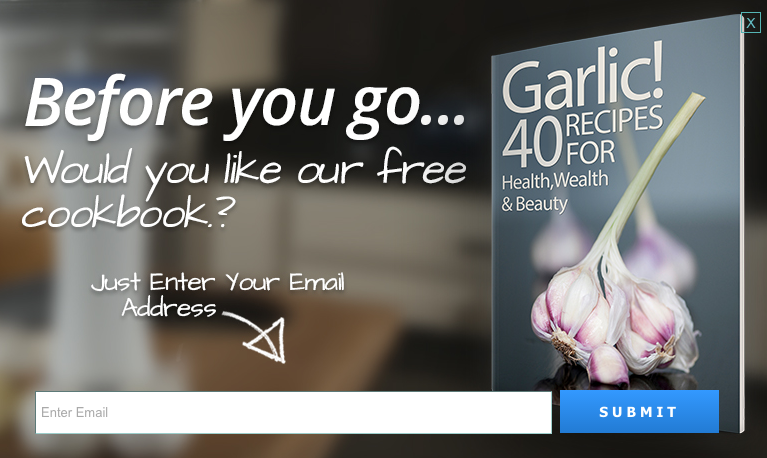 Garlic Shaker added this overlay promotion, gating a free recipe book as an incentive to subscribe to their newsletter. The promotion took their email list from 220 subscribers to over 20,000 subscribers! By engaging visitors with an relevant offer and a strong call to action, they were able to grow their contact list by nearly 9,000%. 10-15 seconds into a website visit. More than half of your traffic leaves within 15 seconds. Try to grab their email before they head out. On your blog. People are looking for informative and beneficial content in this location on site. Provide them with something exclusive and valuable. At the end of pages and blog posts. The visitor has just read something, provide them with a call to action and keep the ball rolling (less intrusive). Hit leaving visitors with an exit offer for another chance at converting them. An attractive title and piece of content can help you convert these bouncing visitors. Content is a tremendous way to separate your brand from competitors and now, it can generate more business for you. If you’re interested in driving more engagement, providing additional value, and converting more of your visitors with gated content, it’s easy to get started.